This is a popular choice here in the valley. It is 100% private, secure, and durable. 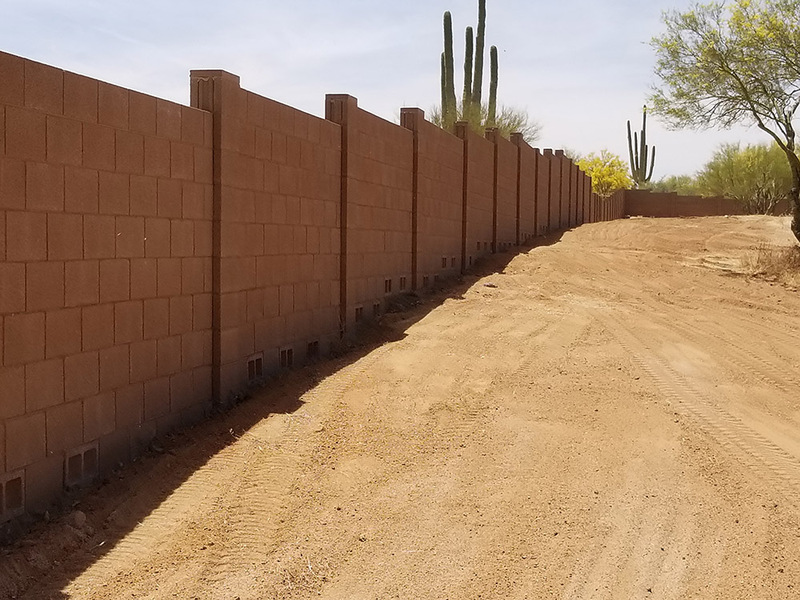 We offer the standard fence block wall that is made 4x8x16 block and has columns approximately 12′ apart. It is often referred to as dually block wall because of the two different size blocks used. It comes in a few different colors grey, earthtone, brown, and beige. We also offer 6x8x16 and 8x8x16 block walls. These walls are all the same size block and often have a split faced decorative design or scored blocks. It also comes in different colors or can have stucco and paint applied.